So my 2013 started by me saying that I was gonna do this and that but I didn’t stick to it what so ever and that made me rather disappointed, yet even though I didn’t stick to it I did have a pretty good year. The main highlights to my year have been the latest series of the Jubinub Podcast with mates from college Jake, Michael and Liam. And in the past year we have had an amazing time and got me in a great mood every time that we recorded, sadly we’re not doimg that anymore but are in the works of creating a newer version that could be coming up in the following months. The second highlight of my year is that I have seen aload of films this year, from box office smashers like Iron Man 3 to box office flops like After Earth either way I had fun watching them, hell I even went to see a couple of films twice, even did double features as well, so films this year were a big thing for me and I will be continuing that tradition next year cause there are aplenty of new films coming out in the next 12 months. Finally the biggest highlight for me was actually this month when I went to see The Hobbit: Desolation of Smaug with a group of friends and since meeting the first friend that day, Sarah, I then felt more cheerier about the day, then Jake arrived and I was even more cheerier, then Michael, we had something to eat and had a laugh as well then and finally Alanna arrived and then our band was back together amd we had a good time watching Smaug. I hope that next year that we could have more times out because it was the best day that I have had in a while. For the past few years I have started to slowly loath the original Spider-Man trilogy, I used to like the films but as I looked more into the back-story of Spider-Man. I’m gonna start at the beginning on what I’ve disliked about the series. The first thing that I disliked about the film is that there wasn’t a original love story between Peter and Gwen ( or Liz) instead they just jumped ahead in years and had him paired with Mary Jane. I think that the story was okay but rather bland at times (over the course of the trilogy), and the fact that Gwen wasn’t featured till the the third film as a filler character they could have had more development for the character but no they didn’t. The second thing I disliked about the film is that he had already web fluid and no web shooters, hell even the cartoons had him with web shooters and why couldn’t this have been put into the film but instead they decided to stupid hand movements to fill the time. Third the Goblin Battle Suit, first to say I think this was unnecessary for the film, they could have at least CGI to make it look like the one from the comics but not a major downer for me. Finally the major death of the film, they killed off Norman Osborn, why the HELL did they do that for, for once scenario they could have kept him alive and return into Goblin in the third film instead of Harry, but no they didn’t and that’s why I dislike Spider-Man. Now as much as I hated Spider-Man I disliked this one even more. First off I disliked the fact that Otto had a wife in the film, but the reason that he had a wife in the film is to get some sort of revenge theme but it didn’t hold well, plus he didn’t have a German feel to him, the actor on the other hand portrayed him well. The next thing that I disliked about the film was the fact that Peter started to lose his abilities, this could have been better done better but it was more along the line of comics, but I think that if he stared to mutate would be more cooler. Third, the first crucial thing about the film a subway car full of people saw his actual face, if I were them I would have outed Peter as Spider-Man to J.J. Finally the same ending to the first film they decided to again kill of the villain, another bad move made and I hope Mark Webb doesn’t make the same decision as it could lead to a Superior Spider-Man film. Ah so many bad things, where to start first. First revealing that Flint Marko killed Uncle Ben accidentally when the thief knocked into him, why would they have this back-story, the origin and the last fight were the only good Sandman filmed. Second when Peter got overcome by the Venom symbiot his character turned into a total douche, the way that he was dressed and acted made me want to leave the cinema. His character then seemed to just not give a damn about the people that cared about him and I was more glad when he was able to remove the symbiot. Third Venom seemed to look completely wrong, it could have been designed more better plus there was another reason why which I’m gonna double barrel. The final reason I dislike the film is that for a third and fourth time they killed off two characters, first they killed off Venom and Eddie Brock when Spider-Man used a goblin bomb to destroy Venom, then the tie in as they also killed off Harry Osborne, to be fair Spider-Man could have easily dropped Harry off at a hospital but no he left him to die on a construction site. So these are the things that I hated about the Sam Ramini Trilogy, and when Amazing Spider-Man 2 comes out I will show my displeasure after its released. 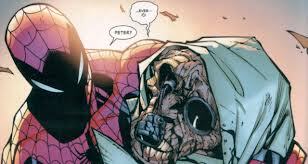 December 26 2012, A fight between Otto Octavius and Spider-Man ends with the death of Otto. January 2 2013, A new Spider-Man takes the streets, a more darker, smarter and even tempted to take the low road by blackmailing people. 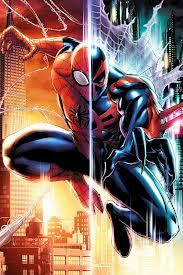 Ever since this ‘new’ Spidey started, I really haven’t like the character that much. He seems to me more serious and methodical which some people may like or hate. But another reason I haven’t liked this character because he is prone to assault villains and throw away his own mantra ‘Nobody Dies’ even villains, as he killed Massacre in issue 5. The next thing that has bothered me is that with Otto as Spidey is that it has affected other characters that have been in Spidey’s life in the past that are friends of Spidey. The most recent characters that have happened are with Black Cat who has been a anti-hero who helped Heroes for Hire in Spider Island and even had a physical relationship with Spidey at one point, but Otto focused more about the fact that she ‘is’ a thief and had her arrested so she believes now that it isn’t Spider-Man. The more recent that Spidey has came across is Agent Venom, who is a government agent and a former Avenger, but Otto remembers him as a villain or the fact the he did go AWOL or something (I should read Venom comics) and Spidey managed to remover the symbiot from Flash, I think that this was a dumb idea because Otto seems to much of a hot head who focus on becoming a superior hero. 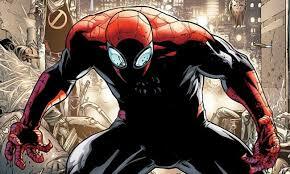 Every since the mind wipe story arc i have hoped that there has been a way to get Peter Parker back. With a brief panel from the 2099 crossover there could be a glimmer of hope but I dunno what the outcome would be. For the Amazing Spider-Man title to be relaunched i remain slightly optimistic, with the recent 700. series going on it could lead to a relaunch or possibly tying up loose ends. But for Peter i hope that he returns and put what everything Otto has done wrong right, but for now Superior is here to stay.